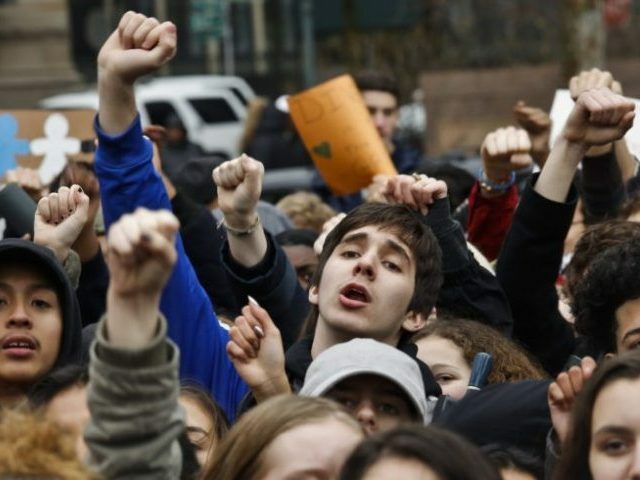 Outspoken feminist Camille Paglia says the current generation of hyper-sensitive, safety-seeking college students was gradually created by the downward spiral of public education that has left them ignorant of history and geography and focused, instead, on viewing America as an evil nation. What has happened is these young people now getting to college have no sense of history of any kind. No sense of history. No world geography. No sense of the violence and the barbarities of history. So, they think that the whole world has always been like this, a kind of nice, comfortable world where you can go to the store and get orange juice and milk, and you can turn on the water and the hot water comes out. They have no sense whatever of destruction, of the great civilizations that rose and fell, and so on, and how arrogant people get when they’re in a comfortable civilization, etc. So they now are being taught to look around them to see defects in America – which is the freest country in the history of the world – and to feel that somehow America is the source of all evil in the universe, and it’s because they’ve never been exposed to the actual evil of the history of humanity. They know nothing! Paglia, a professor at the University of the Arts in Philadelphia, slammed the trend of public schools beginning the teaching of “identity politics,” such as that found in “sexual harassment sensitivity training” and “diversity training,” all the while true education is absent. In her discussion of the seriousness of the dumbing down of young Americans, Paglia asserted its consequences are analogous to the last days of the Roman Empire.